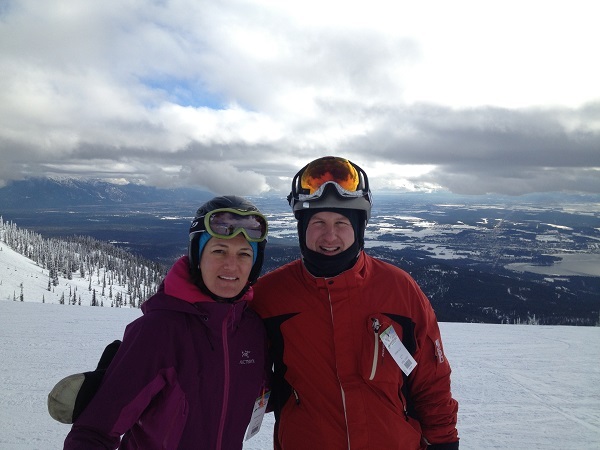 We had a great time filled with fun and adventure at Whitefish Mountain Resort in Montana last week. Whitefish is about 175km from Fernie, and if all goes well with the border crossing it takes about 2 hours 15 minutes drive. The ski resort is about 15 min drive up the mountain from the town. A big part of the resort is located in Flathead National Forest. Part of the resort closes on 31 March every year to make sure the Bears residing in the forest are not disturb when they start to wake up from their winter nap. The resort is great for intermediate skiers. There are 15% beginners, 35% intermediate, 40% advance and 10% expert runs. 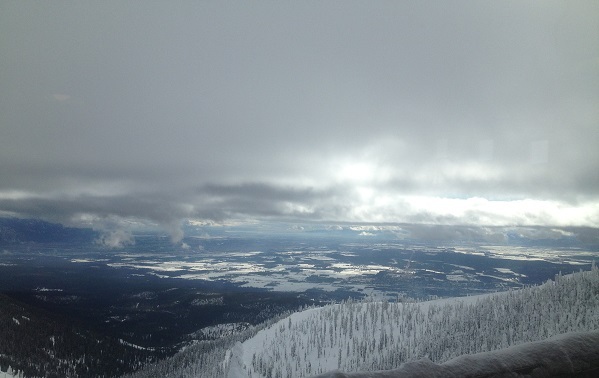 Whitefish Mountain Resort has three main parts: Front Side, North Side and Hellroaring Basin. Three of the ten lifts are very fast quad lifts that serve the front and north side of the mountain. The Summit that offers spectacular views has an elevation of 2078m and the vertical drop to the base is 717m. The view at Whitefish Mountain Resort is spectacular! We managed to do a substantial amount of distance at Whitefish Mountain Resort, thanks to the many nice long runs and fast lifts. After a tasty lunch from the restaurant on the summit, we went to do one of the free mountain tours with a Snow Ambassador. But just as we were about to leave there was a huge amount of commotion at the summit. Somebody had a heart attack, and all the staff was needed to secure an area for the helicopter to land. Another Snow Ambassador skiing with his family on his day off, offered for us to tag along. Everything happened really fast, and the helicopter came and went while we did one run on the North side. Overall we found Whitefish Mountain resort excellent. We had a great lunch, we quickly got orientated on the mountain after the help from the off duty ambassador. The views on most part of the mountain are really spectacular! The terrain offered great intermediate and expert terrain, including a few mogul and many open ski areas among the trees. This entry was posted in Ski Resorts, Sports on 2013/02/13 by Justinus.